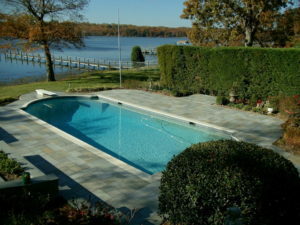 Pool deck resurfacing and pool landscaping are some of the best ways to enhance the look of the entire pool area. It promotes the use of natural decorative elements such as ornamental plants. It is an eco-friendly option that does not consume as much energy as lighting and water features. To make the most out of a poolside landscape one must take into consideration the best types of plants. What are the factors to consider when choosing plants? Upkeep – Plants that require constant maintenance aren’t ideal for poolside landscape. Especially plants that tend to shed a ton of foliage. Safety – Certain plants pose safety risks to swimmers. Large thorny plants can damage exposed skin and should not be placed anywhere near the pool. 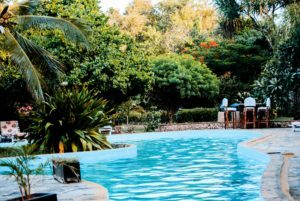 Local Weather – The type of weather in your area is one of the most important considerations when choosing poolside plants. In San Jose, summers are long and arid so plants that thrive in cold weather are out of the question. Size – The size of the plants should be considered to maximize the allotted area of a poolside landscape. Color and Texture – Considering color and texture is more on the decorative end. These should complement the design of your existing pool area or the theme that the pool owner is going for. Shady or Sunny Area – A pool owner has to consider where these types of plants are placed. Depending on the designated area, sun-loving and shade-loving plants should be placed. Succulents – Succulents don’t require as much watering as other plants because they are able to store water during long periods of time. 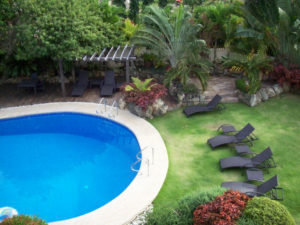 In San Jose, most swimming pools are placed in areas that are under constant sun exposure. Because succulents thrive under the sun, you won’t have a problem with wilting. One thing to note is that succulents tend to have spines. Those with large dangerous spines should be placed farther from the pool area to avoid harm. Another option is to choose succulents that have little to no spines at all. Ornamental Grasses – Ornamental grasses are great as ground cover and takes up any extra space in between plants. These are usually low-maintenance and don’t need regular trimming. Many ornamental grasses tolerate a wide range of weather conditions. These are ideal for adding texture and movement to the landscape design. Vines – These add an interesting twist to any landscape design. It can be guided to climb over walls, pillars and gazebos around a pool area. Fast growing vines are great for privacy by keeping the area obscured from view. Tropical Plants – Tropical plants are great for adding colors to a landscape design. These plants are ideal in San Jose because most are sun-loving. Tropical plants have exotic blooms that enhances the look of a landscape. Because these plants vary widely in color and texture, be careful not to make the landscape look to busy. Choose ones that complement surrounding plants.